In can happen more easily than you think. In fact, it happens to good people every day, in every part of California. You have one or two casual drinks with friends but you don’t feel intoxicated. You get behind the wheel like you’ve done a thousand times before after one or two drinks. Then you’re in an accident, a passenger in another vehicle is injured, and suddenly you’re charged with a felony and looking at up to three years in a California state prison. 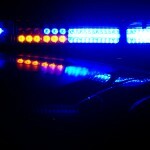 If this happens to you or to any of your loved ones anywhere in southern California, it’s imperative to obtain good legal representation immediately; call an experienced Orange County DUI defense attorney as soon as possible. It’s easy to understand. California prosecutors genuinely believe it is their responsibility to pursue felony charges when an intoxicated driver injures an innocent victim, and the law supports them. 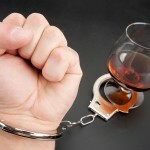 If you’re charged with a felony DUI, you will need a genuinely good DUI defense lawyer who can investigate the case and find – if at all possible – a reason to have the charge reduced to a misdemeanor or dismissed entirely. Not just any attorney can do the job; DUI law is now a highly technical field requiring plenty of specialized legal and scientific knowledge. Even if the evidence against you is overwhelming – and in many cases it won’t be – a good DUI defense attorney can often negotiate for reduced or alternative sentencing. 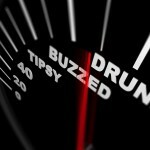 When you’re charged with DUI, time is of the essence; your attorney will need as much of it as possible to develop and prepare your defense, so call without delay. 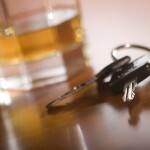 If you’re charged with DUI in southern California now or in the future – whether it’s charged as a felony or as a first-offense misdemeanor – obtain the services of an experienced Orange County DUI defense attorney immediately.